A grid is used to organize space and information for the reader; it maps out a plan for the overall project. In addition, a grid is a holding pen for information and a way to ordain and maintain order. 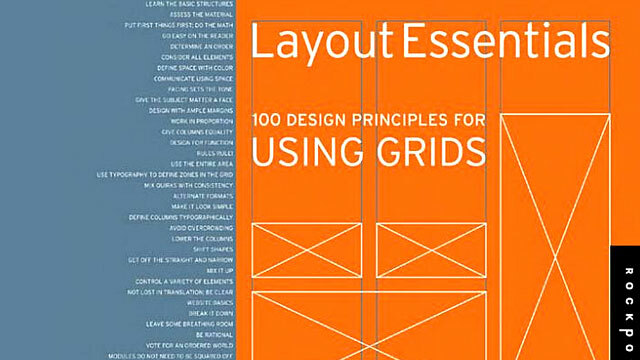 Although grids have been used for centuries, many graphic designers associate grids with the Swiss. The rage for order in the 1940s led to a very systematic way of visualizing information. Decades later, grids were considered monotonous and boring—the sign of a “designersaur.” Today, grids are again viewed as essential tools, relied upon by professionals who are both new to the practice and seasoned by decades of experience. 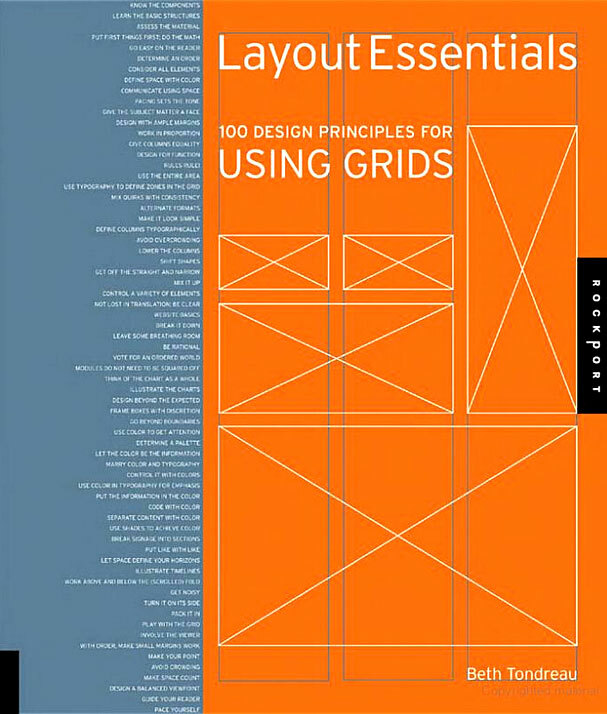 Each of the 100 principles in this book exists to provide a helpful nugget as you build a layout, system, or site, and each is illustrated by a project designed and published (in old or new media) in the last few years. I hope the examples in Layout Essentials will instruct, intrigue, and inspire, while guiding you to keep in mind a most essential precept of communication: relate your typography and layout to the material.